I'm super excited to get a shout out on one of my favorite blogs, Made by Girl. 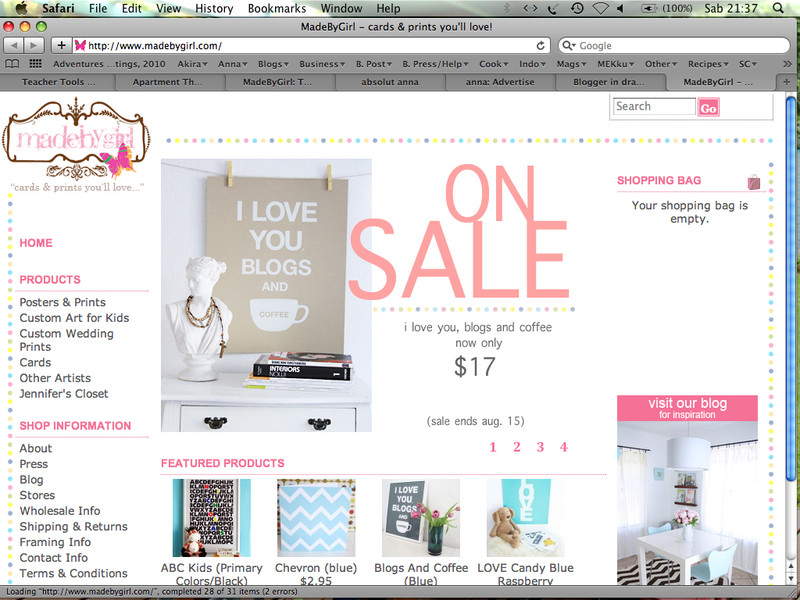 Jen, from Made by Girl, thanked me for blogging about her language and love prints. You can see my post about them HERE, if you missed it before. Check out my shout out HERE. It's funny, I've been following her blog for a long time and I check it a few times a week but this past week my eyes have hardly met the computer screen as we've been busy packing, painting and moving into our new Bali home. 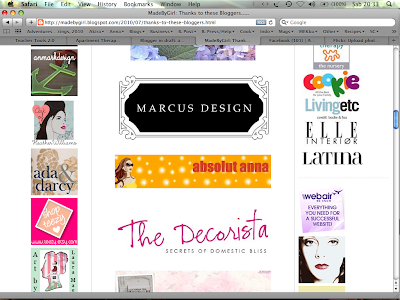 You can imagine my surprise, and shock, when I saw my blog mentioned on her site...the ONE TIME I take a week break from reading one of my favorite blogs, I get a mention. hahaha Thanks Jen! If you don't know who Jen is, check out her amazing style on her blog and browse through her cute shop.